Our Premium Pick from this list would be the Hearos Extreme for the sheer noise blocking capacity. Slightly more expensive than the rest, the Hearos Extreme easily top our Premium charts. Our Value Pick would be the Mack Ultra Soft Foam Ear Plugs since the usability, price point, and overall pros outweigh a lot of other variants in the same range. Apart from that, the texture, quality, and durability of the Mack earplugs were fantastic. 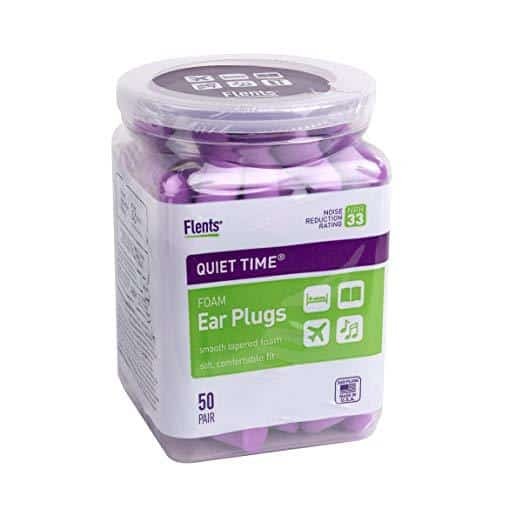 Lastly, our Best Choice would be the Flents Quiet Time Ear Plugs for the quality of sleep, the versatility of use, and affordable price that always makes our readers happy. Restful and quiet sleep is a gift that hardly anyone gets anymore. For people living in cities, suburbs, and even on the outskirts, it is commonplace to hear the sounds of emergency vehicles, police sirens, revving cars, and people at all odd hours of the night. Sometimes even children in the house or ones playing outside, or the TV, and noisy neighbors can thoroughly disturb sleep. Restful sleep is excellent for rejuvenating the body and easing stress. Apart from this, getting a good night’s sleep also helps improve health and keeps diabetes, obesity, heart diseases under control. Relaxed and deep sleep also helps enhance moods and promotes stronger immunity. Maintaining a sleep schedule is crucial to maintaining a healthy body and mind. To this end, earplugs help cancel out or drown outside noises and sound so that you can get peaceful and deep sleep. The best earplugs should, ideally, reduce noise disturbances to a comfortable minimum so that you are able to get a peaceful sleep. While it might take some time getting used to the feel of the earplugs as you sleep, the transition is not unpleasant. Hence the effectiveness of the earplugs largely depends on your ability to adjust to the sensation of using them nightly. Earplugs are made from differing materials like wax and foam. 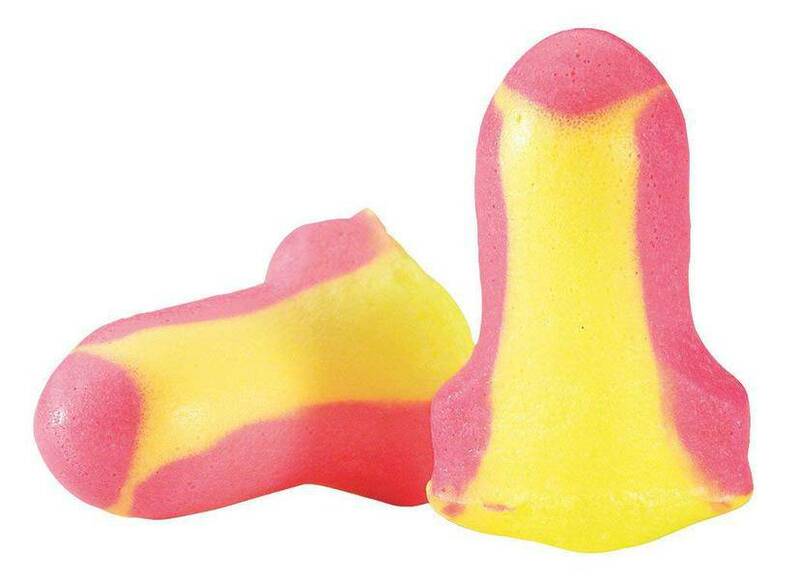 Foam earplugs expand once they are fitted into the ear to create a snug fit in the ear. This is especially helpful for people with larger ear canals. Wax earplugs are also similar in the manner that they fit comfortably without turning waxy or oily in the ear. 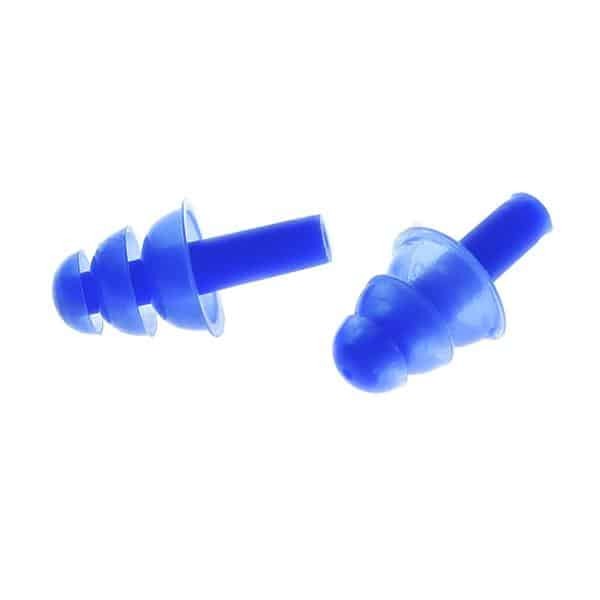 While purchasing earplugs, you should opt for durable and reusable ones. Another aspect to take into consideration would be the size of your ear canal. Further to this would be to select a pair that retains their shape and size even after multiple uses. 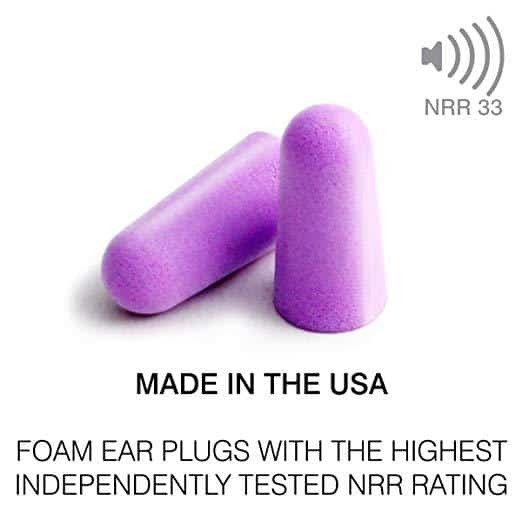 Before you select your earplugs, always check to see that the NRR (Noise Reduction Rating) is between 0 to 35 to ensure more significant amounts of noise reduction. The list below has been compiled keeping in mind the different needs of people, for instance, earplugs to drown out snoring, traffic noises, people talking, and so on. We take care to try all products before we review them, and each of the products on this list is tested over a few weeks. These reviews are arranged in price points ranging from lowest to highest with comparisons for quality and durability. 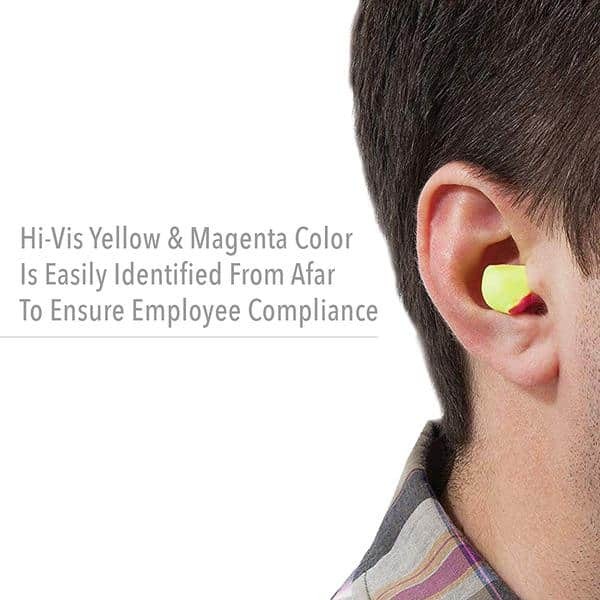 The vibrant yellow and magenta colored ear plugs from Honeywell are the first on our list. Howard Leight earplugs are easily visible while sleeping or at the workplace to help avoid confusion, irritation, and misconceptions amongst people. 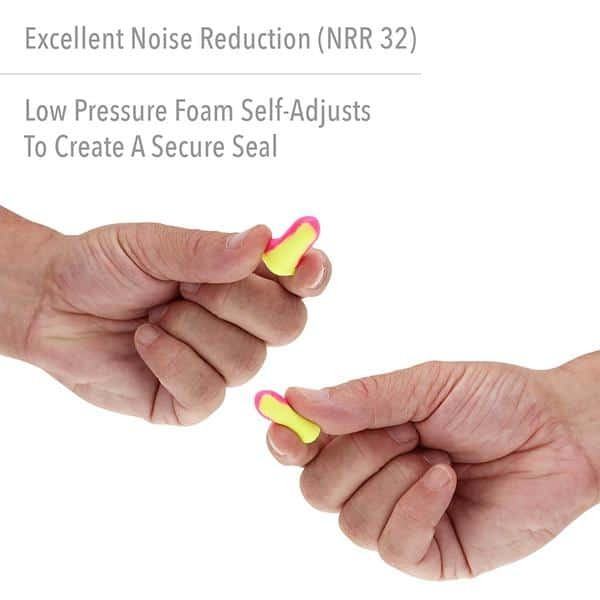 A remarkable feature of these cost-effective earplugs from Honeywell is that the foam used in the manufacturing is self-adjusting to fit even the smallest of ear canals and offers a snug fit to the wearer. The T-shape of the contour makes the insertion and removal process quite simple. The contouring makes the earplugs challenging to fall even while sleeping. The Howard Leight earplugs from Honeywell have 32NRR which make them quite useful in drowning out sounds and noises while working or sleeping. The noise isolation helps improve focus and concentration at work or while studying and helps in reducing snoring sounds while sleeping. They are also dirt resistant, making these a cost-effective, value for money, hygienic choice. 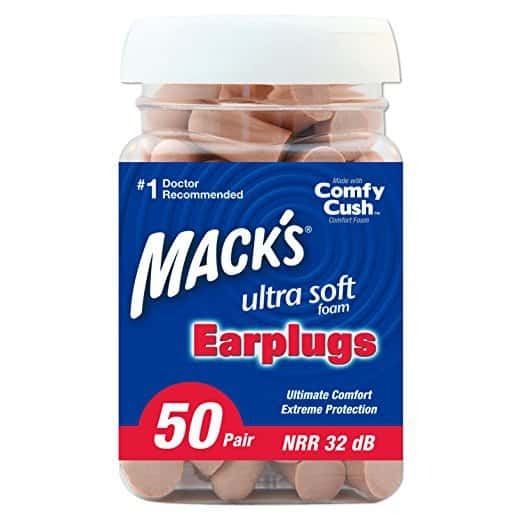 Mack Ultra Soft earplugs feel absolutely fantastic while sleeping. Extra soft with a slow release on the pressure, these earplugs are magnificent. 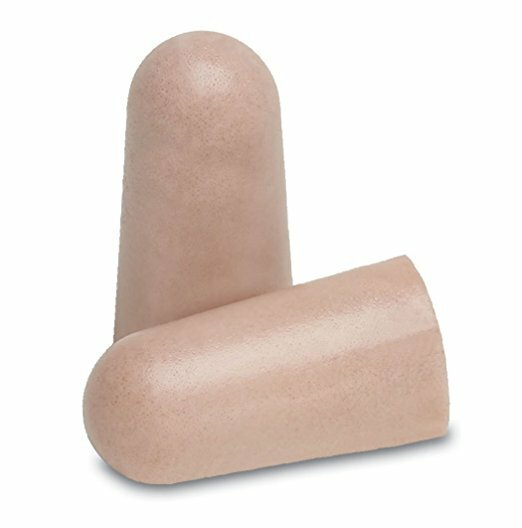 The Comfy Cush Comfort Foam that Mack uses helps maintain a low pressure on the ear and canal making these earplugs a trendy choice. Ergonomically designed for a snug fit, Mack Ultra Soft earplugs help protect your ears from loud sounds by slipping into the ear canal with ease. 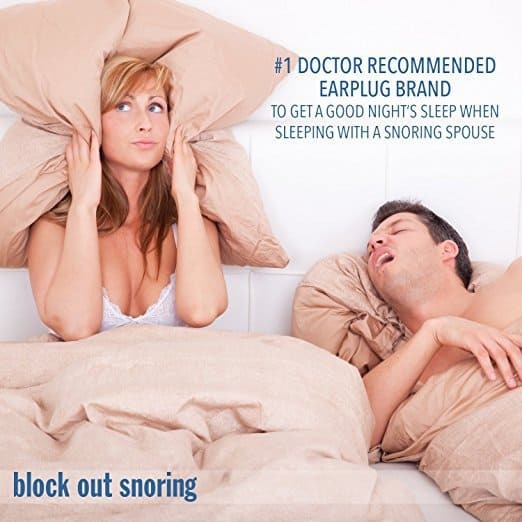 Useful for people needing a good night’s rest, these earplugs help promote undisturbed and restful sleep. At 32 NRR these earplugs from Mack are versatile at work best while cycling, doing sports, studying, reading, working, riding motorcycles, sleeping, or even attending music concerts. Made in the United States, this home-grown brand can be comfortably used for a week before using the next set. 1 pack contains 50 pairs, so the cost effectiveness and usability of these earplugs are excellent. Adept Sound is the first silicone earplug on our list. 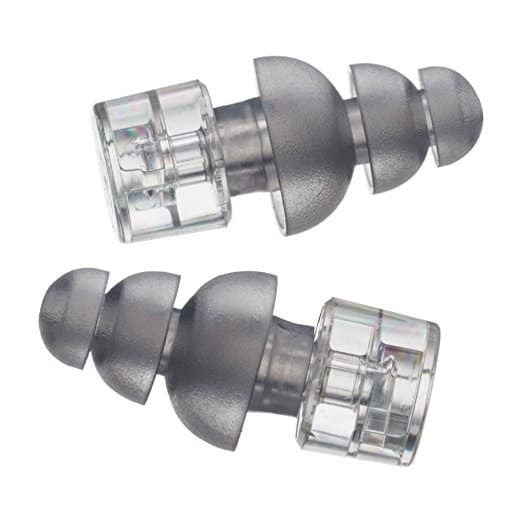 Hypoallergenic and dust resistant, these earplugs have gained popularity since their launch. These earplugs help muffle and reduce auditory distractions caused due to loud noises like music, talking, honking, and traffic. These earplugs from Adept Sound also reduce pain and soreness due to pressure on the ear canal. You can also keep them in while sleeping at night for long durations. 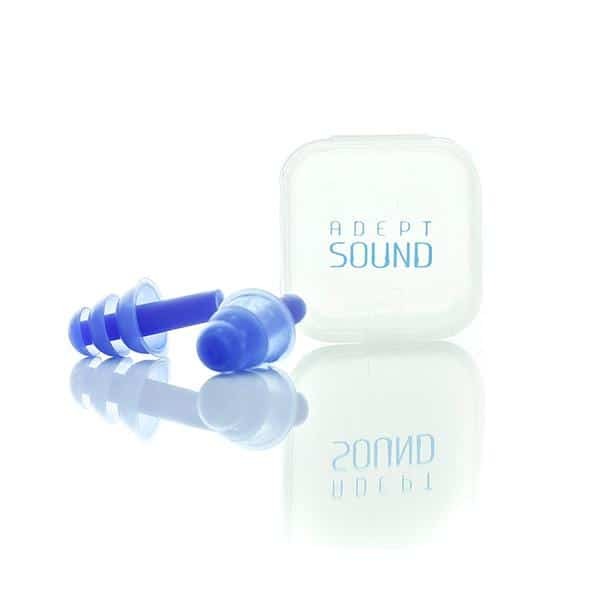 Since these earplugs from Adept Sound are made of durable silicone, they can also be used in the water while taking a shower, bathing, or while swimming. 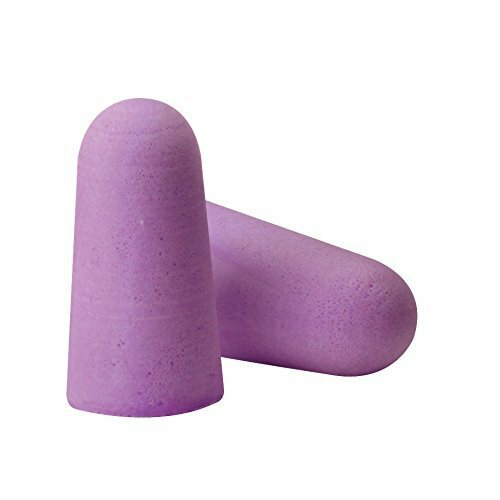 Quite flexible and pliable, these earplugs have a comfortable and snug fit in the ear canal. The reduced discomfort also makes these an excellent choice for side sleepers. The Adept Sound Earplugs are a perfect option for users who are looking for comfort and noise reduction. Moldex by Drift to Sleep has been one of our favorites in this list. With NRR of 33, these earplugs effectively drown out most sounds entirely. Users reported that they slept extremely peacefully and these earplugs even blocked out sounds of partners and pets snoring loudly. Made in the United States, the Moldex earplugs are easy to use with an extra-soft, latex free feel. They are also lightweight and can be used for extended periods of time with ease. These foam-based Moldex earplugs from Drift to Sleep are shaped for a relaxed fit into the ear canal, and the softness and ultra-lightweight help ease the pressure on the ear. An added plus point to these earplugs is the hygienic carry case for easy transport. The outer surface is smooth and helps the plugs fit gently and smoothly in the ear canal. 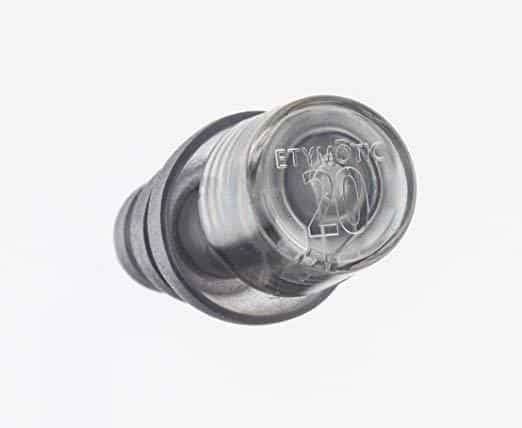 Etymotic High Fidelity earplugs from Etymotic Research are one of the most popular brands in the market. 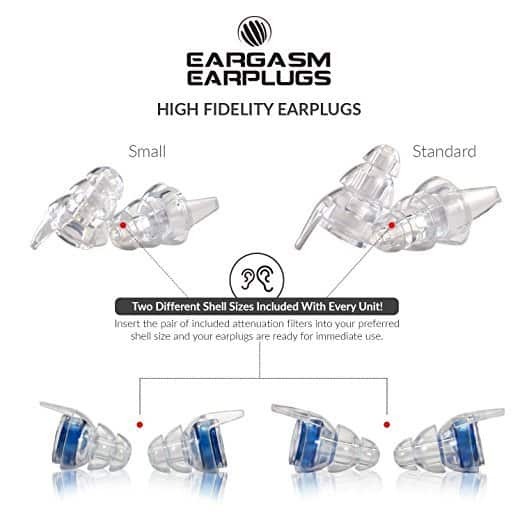 Non-custom earplugs, Etymotic High Fidelity (ETY) help in reducing surrounding noise and sound to a comfortable level while retaining the clarity and richness of speech in a non-muffled manner. 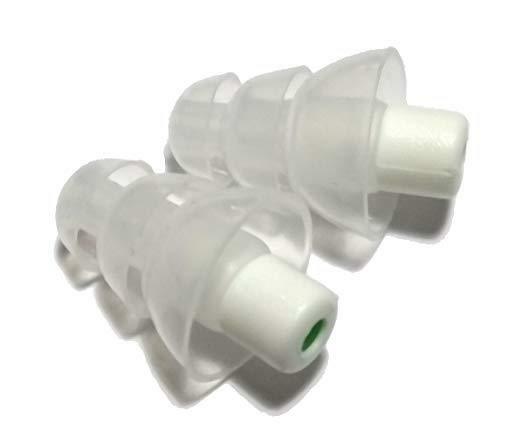 The ETY earplugs are reusable and come in standard sizes to fit all ear sizes. These are slightly different from the others on our list since the ETY plugs come with a neck cord and a carrying case for ease of transport. The carrying case also ensures complete ear hygiene and safety from dirt and dust. 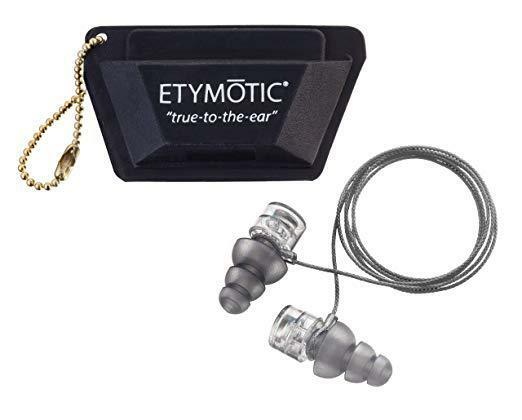 The Etymotic High Fidelity ear plugs are known to be excellent for concerts with high decibel levels, motorsports, and athletic events, industrial work, construction work, and clubs and discotheques. 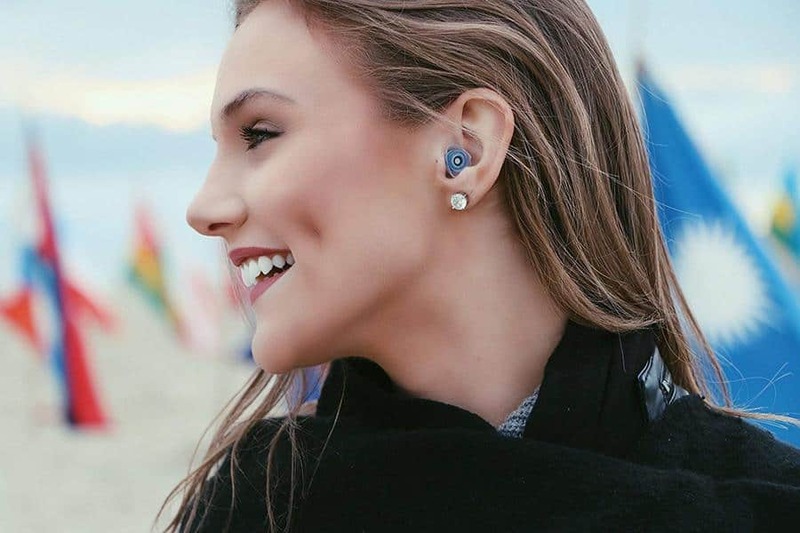 The ETY ear plugs are ergonomically designed with proprietary technology from Etymotic Research that works to replicate the natural response of the ear canal to sounds. 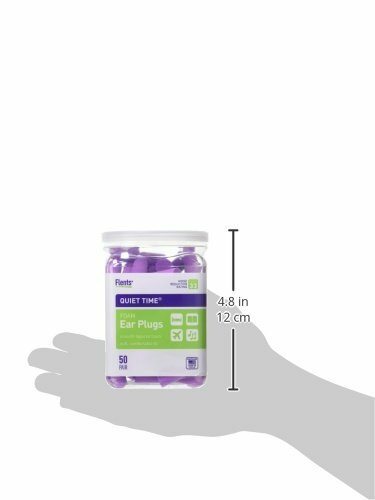 Flents Quiet Time earplugs are excellent for people who love their peaceful sleep. One of our personal favorites, the plugs from Flents are made of super soft foam that sits perfectly within the ear. 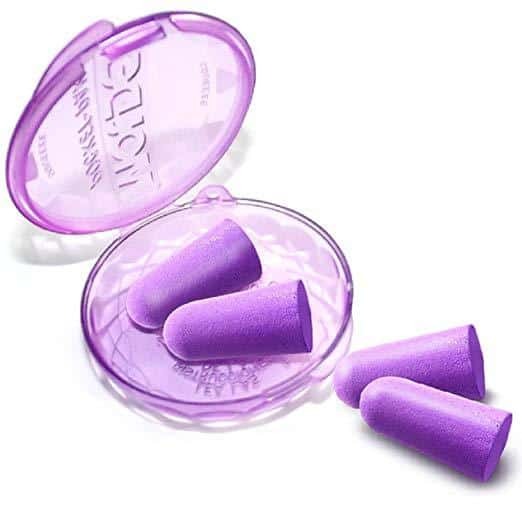 Easy to roll and fit in the ear, the Quiet Time earplugs compress as soon as you twist the between your fingers. Like the Etymotic Research earplugs, these can also be used at multiple locations for auditory needs at construction sites, industrial machinery areas, athletic events, and in loud environments. The Flents Quiet Time are also excellent for creating a cocoon-like environment with reduced decibel levels while studying in crowded places like university canteens, or while traveling, or while at work. These earplugs are rated at NRR 33, which is excellent for reducing sound levels to a comfortable low. Not too large, the Quiet Time plugs can be a fantastic asset to aid noise reduction for side sleepers. 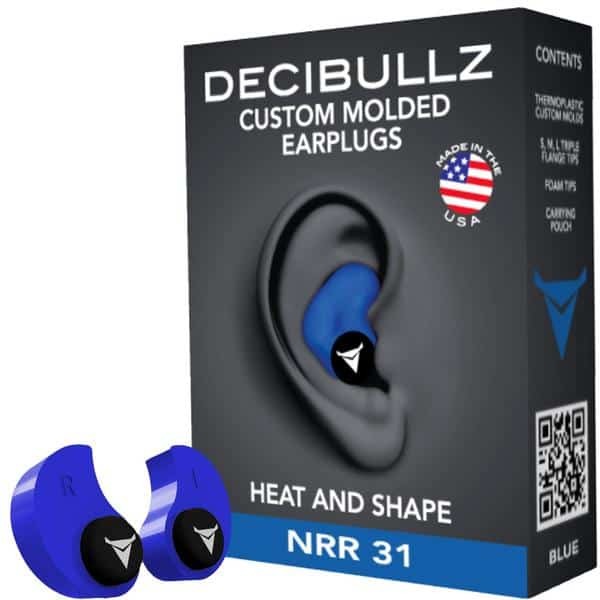 Decibullz are the only wholly customizable earplugs on our list. With a fantastic fit, these earplugs are long-lasting. 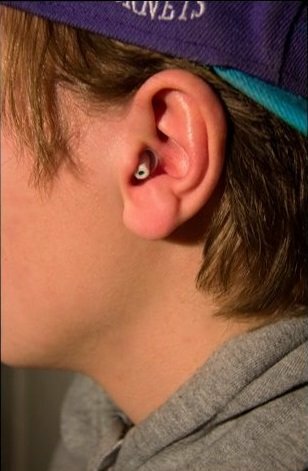 You can easily mold them to the shape of your ear with the help of a little warm water and keep the form and quality of the earplugs intact for a year together. Once they are customized to fit your ears, you can re-customize them using the same warm water process to re-mold. 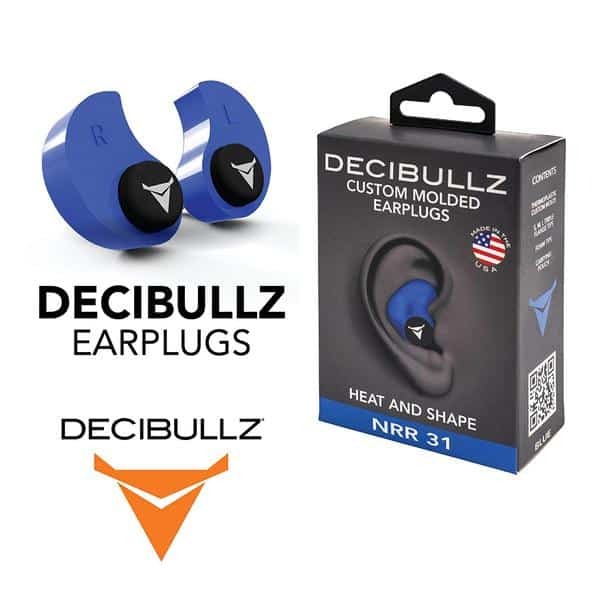 With a soft thermoplastic material that increases durability, these customizable earplugs from Decibullz help keep ambient noise to a minimum. The earplugs come in three sets of triple flanges to ensure you get the perfect fit for your ear canal. They also come equipped with a carrying case. The plugs from Decibullz remain snug throughout the day and night and can easily be used by side sleepers for an enhanced yet restful sleep. 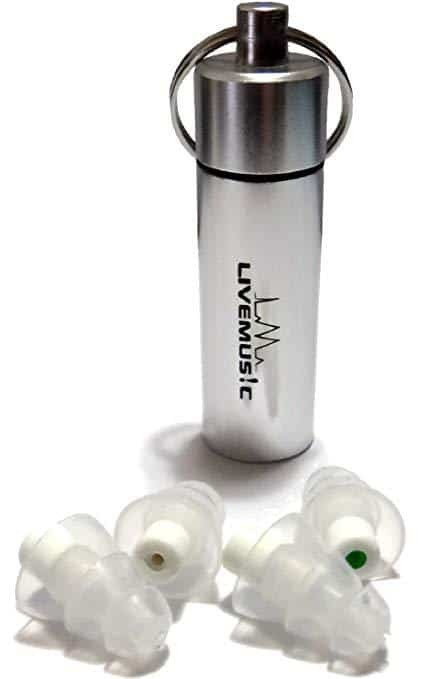 You can also use these earplugs successfully at concerts, during work, study, and in loud environments. Born in the United States in 1998, Hearos Extreme has been a trusted protector of sound levels and noise reduction. 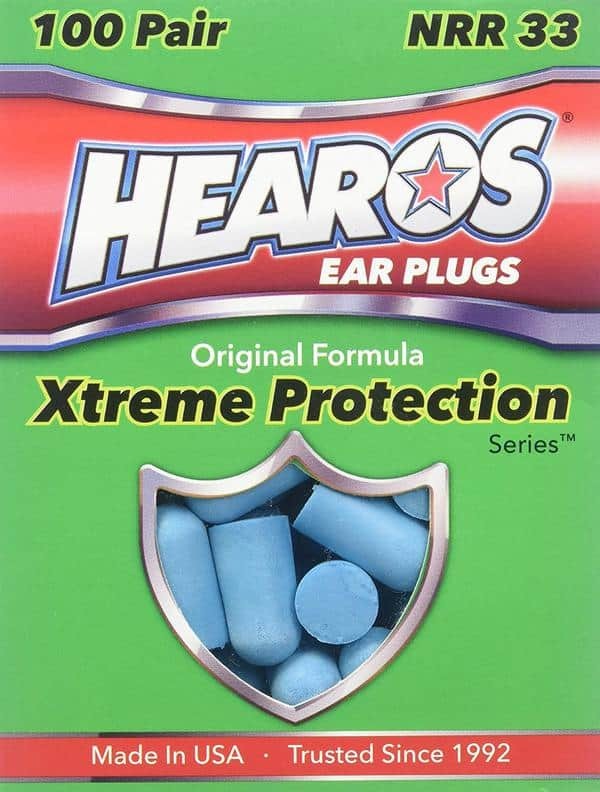 With more than 400 million ear plugs sold, Hearos has been enjoying a comfortable position even on our list. With 33 NRR, Hearos Extreme is considered nearly perfect for decibel reduction in loud spaces like offices, concert halls, open atria, and closed venues like discotheques. With a slow roll down, Hearos allow users to adapt to the soft and silky-smooth polyurethane proprietary foam. 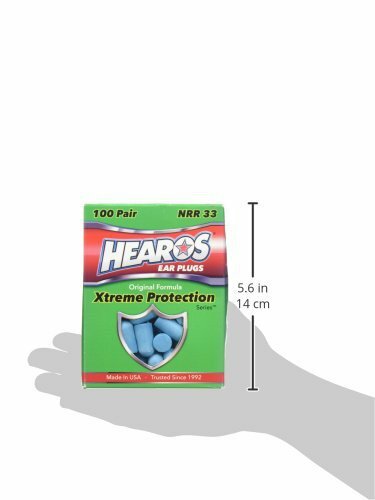 Hearos Extreme earplugs have tapered shapes with flat backs that enable a snug fit in the ear canal. Completely disposable, the Hearos earplugs should be discarded at the first sign of dirt, dust, or wax accumulation. These ear plugs are ideal for sleeping to drown out ambient sounds like ticking clocks, snoring, and traffic sounds. Completely hypoallergenic, these can also be used while at shooting ranges, traveling, or swimming. LiveMus!c HearSafe ear plugs are quite similar to the ones from Etymotic Research (ETY). They safeguard your ears against deafening sounds and can be used comfortably at concerts, road shows, sporting events, and also at work and while studying. Slightly on the expensive side regarding price points, the LiveMus!c HearSafe come in two different types of packing. The white filter with NRR of 29 and green filter with NRR 23. While not as fantastic at blocking out sounds at Fluents Quiet Time, the HearSafe earplugs from LiveMus!c weaken background noise and high frequency sounds to protect your eardrums securely. The flanges of the LiveMus!c HearSafe are made of a soft silicone material known for its hypoallergenic and non-toxic qualities. It has a triple flange design to help the silicone get a perfect grip in the ear canal. This design further helps in ensuring the earplugs do not get dislodged while talking, eating, dancing, or sleeping. 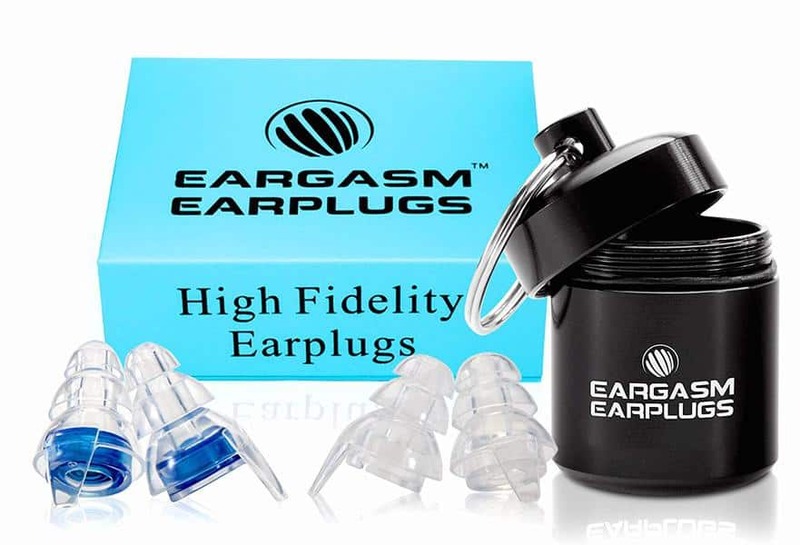 The High Fidelity ear plugs from Eargasm is the last on our last but definitely not the least. These great ear plugs work on a technology that relies on innovative attenuation filters to reduce noise evenly as it passes to your eardrum. Reducing the sound and noise gradually help maintain the quality and richness of sound while protecting your hearing so that the ambient disturbance is diminished and voice notes are heard clearly. Eargasm, with the breakthrough of the High Fidelity range, has improved the sound reduction technique to filter unwanted high-frequency sounds without muffling music or voices. 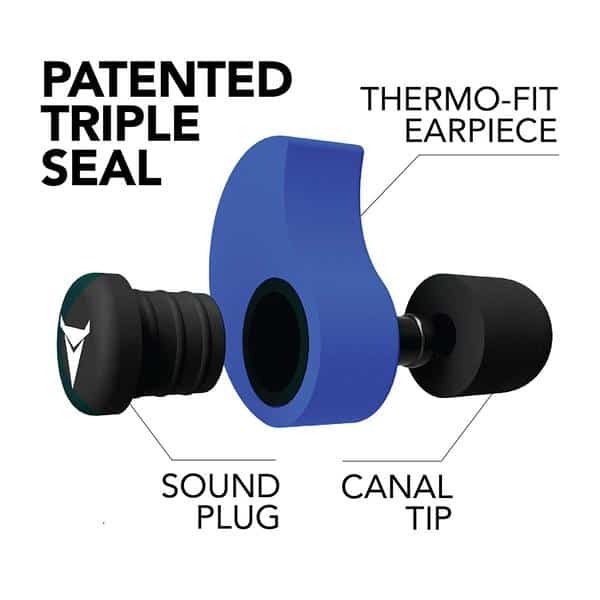 Made of hypoallergenic soft silicone, the triple flange design of the High Fidelity earplug is assured to fit snugly into all ear sizes and offer supreme comfort. These ear plugs also come with an ergonomic aluminum carrying case that may be attached to a keyring for easy portability. These earplugs are affordable, yet technologically-advanced to give you optimum comfort and fantastic sleep.